The Porcupine’s Quill is an artisanal book publisher that values the art and craft of the book in form and content. For over forty years, we have endeavored to preserve the culture of the printed word by applying our expertise in the art of 20th-century offset printing technology in the creation of high-quality books that look and feel like 19th-century letterpress products. Most of the production work is completed at the shop on Main Street in Erin Village, where books are printed on a twenty-five inch Heidelberg KORD, folded, and then sewn into sig natures on a 1905 model Smyth National Book sewing machine. Editorially, we specialize in acquiring work by Canadian authors whose voices are new, underrepresented or verging on oblivion. We particularly focus on books that represent the intersection between literature and other creative disciplines: between text and image, memoir and music, letterpress and offset. Our selectively acquired fiction and poetry features authors at all stages of their careers, and our non-fiction reaches beyond literature into music, art, pop culture and politics. We are proud to be one of very few presses in Canada to produce wordless novels and popularly priced trade replicas of hand-printed, limited edition artists’ books. The Porcupine’s Quill was incorporated in 1974, originally as the production arm of Dave Godfrey’s Press Porcépic. We published our first title, Maclean’s film critic Brian Johnson’s Marzipan Lies, in 1975. Under the early influence of poet Joe Rosenblatt, many early titles included slim volumes written by poets with ties to the University of Toronto—among them Ed Carson, who was until recently president of Penguin Canada, and Brian Henderson, currently the publisher of Wilfrid Laurier University Press. In 1978, PQL published Une bonne trentaine by Erin Village resident Robert Dickson, which included a poem called ‘Au nord du notre vie’. The poem was subsequently recorded by Sudbury-based rock ensemble CANO, and came to be recognized as a Franco-Ontarian anthem. Over the course of the company’s development, we have established a reputation for publishing emerging authors and underappreciated mid-careerists, as well as pillars of the canon. We are the press that published Jane Urquhart before she wrote The Whirlpool; that published Russell Smith before Doubleday did Young Men; and that published Elizabeth Hay before McClelland & Stewart won the Giller Prize for Late Nights on Air. 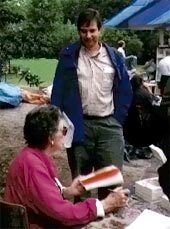 Other novelists who published with PQL early in their careers include Steven Heighton, Andrew Pyper, Mary Swan, Gil Adamson, Michael Winter, and Annabel Lyon. Our poetry, by contrast, tends to feature more established writers like P. K. Page, James Reaney and Margaret Avison, each of whom, despite the enormity of their accomplishments, tend to be passed over by the larger, more commercial houses. Recent initiatives include the Essential Poets Series, a collection of elegant, affordable volumes of poetry aimed at the college market; the Wordless Novel Series, featuring graphic novels designed to appeal to a younger, more visual arts-focused demographic; and popularly priced digital editions of our frontlist. Due to our reputation for publishing authors of note, PQL has garnered recognition from some of Canada’s most prestigious awards committees. 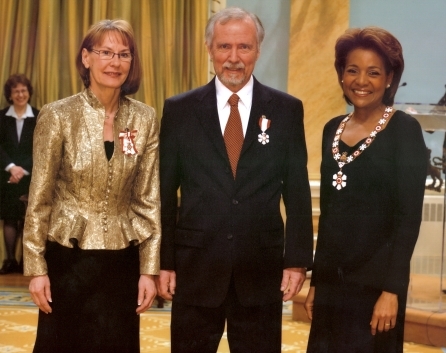 Don Coles won the Governor General’s Award for poetry in 1993 for Forests of the Medieval World, and the Trillium Prize in 2000 for Kurgan. P. K. Page was shortlisted for the Griffin Prize in 2003 for Planet Earth, and again in 2012 with Coal & Roses. In 2013, Jon Arno Lawson’s Down in the Bottom of the Bottom of the Box received the Lion and the Unicorn Award for Excellence in North American Children’s Poetry from Johns Hopkins University in Baltimore. Book design has played a large part in PQL’s success over the years. Tim Inkster is a professional member of the Graphic Designers of Canada and has over forty years of experience in book design and publishing. He has won silver and bronze medals in Leipzig for his book design, and has received a commendation from the Art Directors’ Club of New York. Inkster is cited in Robert Bringhurst’s The Surface of Meaning: Books and Book Design in Canada as the most celebrated book designer in the country, with over 43 citations from the Alcuin Society. He is likely the one publisher in Canada who operates the Heidelberg KORD offset press himself. PQL’s Tim and Elke Inkster have been recognized for their efforts in the field of Canadian publishing. In 2013, Tim Inkster and received the Sixth Annual Janice Handford Award, which honours ‘an individual who has made a significant contribution to the advancement of small press publishing in Canada.’ In May 2009, Tim and Elke Inkster were invested into the Order of Canada ‘For their distinctive contributions to publishing in Canada and for their promotion of new authors, as co-founders of the Porcupine’s Quill, a small press known for the award-winning beauty and quality of its books’. In February 2012, the Inksters received the Queen Elizabeth II Diamond Jubilee Medal. Tim and Elke Inkster at Rideau Hall, 15 May, 2009. The Porcupine’s Quill is located in two nineteenth-century brick storefronts on the Main Street of Erin Village, Wellington County; about an hour north-west of Toronto, on a branch of the West Credit River. Take a virtual tour of the Press. Courtesy of Sandra Traversy. Brief histories of Erin Village are available from the Press ($2) or as pdfs. The Porcupine’s Quill operates with the assistance of the Canada Council for the Arts and the Ontario Arts Council. The generous support of the Ontario Media Development Corporation through the Ontario Book Publishers Tax Credit (OBPTC) and the OMDC Book Fund, as well as the support of the Government of Canada through the Canada Book Fund (CBF), is also gratefully acknowledged. Amanda Jernigan worked at the shop in Erin from August of 2002 to September of 2003. What follows is Amanda’s recollection of what happened. There may be some (prospective interns, perhaps?) who may see this text as a cautionary tale. ‘Simba’ was Elke’s border collie. Well — what did you expect? which is what editors are out to — in both senses. but mostly daft (myself excepted). All this no doubt intended to dissuade. unfailingly at four, for Simba’s walk. to shoddy bindings, box-stores, bills. with neither swords nor slings — nor quills. On Friday nights you swept the shopfloor clean. Against the wrack of publishing, the sanity of routine. The Porcupine’s Quill is remarkable in Canadian publishing in that most of the physical production of our journal is completed in-house at the shop on the Main Street of Erin Village. We print on a twenty-five inch Heidelberg KORD, typically onto acid-free Zephyr Antique laid. The sheets are then folded, and sewn into signatures on a 1907 model Smyth National Book Sewing machine. To take a virtual tour of the pressroom, visit us at YouTube for a discussion of offset printing in general, and the operation of a Heidelberg KORD in particular. Other videos include Four Colour Printing, Smyth Sewing and Wood Engraving. Photographs of production machinery used on these pages were taken by Sandra Traversy on site at the printing office of the Porcupine’s Quill, December 2008. — Michael W. Higgins, Vice-President, Sacred Heart University, Fairfield, Connecticut.